It is believed the two men may have entered the water to swim on Sunday night. Police have said it would be unlikely they would have survived in the water since then. Australian authorities have been searching for two backpackers who have gone missing at a beach on the New South Wales north coast. Towels and keys believed to belong to Hugo Palmer, 20-years-old from England, and Erwan Ferrieux, 21-years-old from France, were found by walkers on Shelley Beach near Port Macquarie on Monday morning. The pair’s rental car was also found at the beach by police. According to 9News, a comprehensive ground and water search involving Police, the State Emergency Service as well as Marine Rescue, began on Monday, continued throughout Tuesday and was expected to resume on again on Wednesday. It is understood the pair went to school together in London and had been travelling together since November. Police are urging anyone with relevant information about the missing pair to contact them. 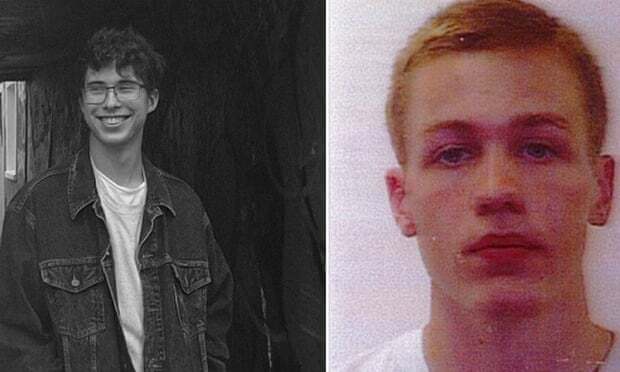 TOP IMAGE: Missing Frenchman Erwan Ferrieux and Briton Hugo Palmer. (Supplied by NSW police / Facebook).